There couldn’t be two more different people. Literally. Two people. Zero in common. Turns out you both may have the same taste in interior design. Introducing Eventup, a site that connects you with infamous venues (like a crime boss’s old estate) for, well, whatever purpose you deem necessary, available in Miami Thursday. This is what you’ll use when you’re looking to throw one of those house parties that requires someone else’s house. Preferably a place with some history. Or a pool. Or a hamam. Or a pool and a hamam. All you need to do: sign up for the website, browse the listings—think Al Capone’s former place or some CEO’s waterfront MiMo mansion (both are just begging to be barbecued in)—and put in for a reservation for the pad that speaks to you. There, that takes care of July 4. 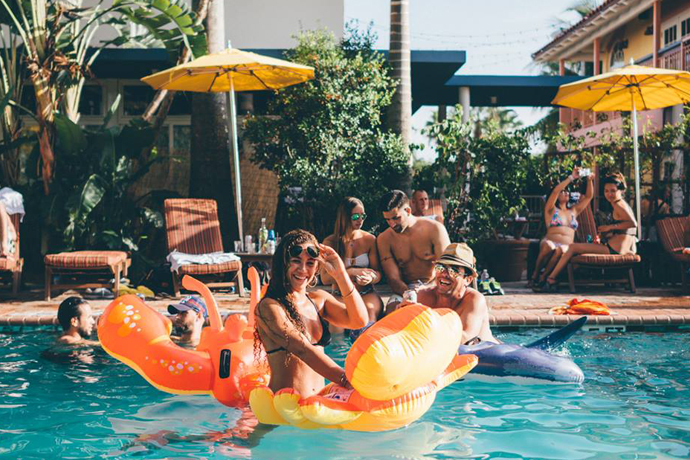 Of course, if you happen to already own your own legendary party spot (otherwise known as your apartment), you can always list it on the site for rental, too. Just write up a description, upload a few photos and post any house rules. Rule #5,611: coasters are nonnegotiable. Rule #5,612: unless you’re LeBron.